Illustration of Gradient Vector Flow performed on an image. The colors represents the vector direction. 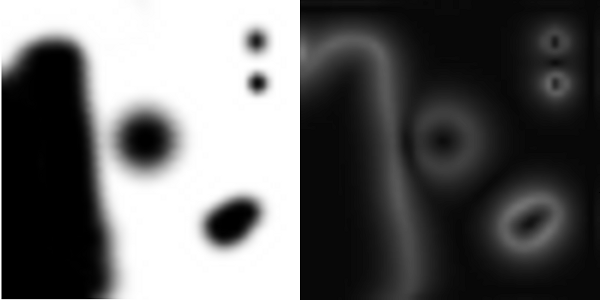 Gradient Vector Flow (GVF) is a feature-preserving diffusion of gradient information. It was originally introduced by Xu and Prince to drive snakes, or active contours, towards edges of interest in image segmentation. However, GVF is also used for detection of tubular structures and skeletonization. I just recently published an article in the Journal of Real-Time Image Processing entitled “Real-time gradient vector flow on GPUs using OpenCL” describing an optimized OpenCL implementation of Gradient Vector Flow (GVF) that runs on GPUs and CPUs for both 2D and 3D. The OpenCL texture/image format CL_SNORM_INT16 has a big impact on performance as it halves the memory usage and has only a small impact on accuracy. NVIDIA doesn’t support writing to 3D textures inside a kernel, this makes AMD GPUs much better at this type of processing. See also my posts on a 3D matlab implementation of GVF and using textures in OpenCL. Note: The default implementation will use a 32-bit floating point storage format, but if -16bit is specified it will use a 16-bit storage format (CL_SNORM_INT16). Use –device gpu to use the GPU or –device cpu to use the CPU. mu is the GVF parameter \(\mu\). Usually set to a value between 0.0 and 0.2 for 2D images and 0.0 and 0.05 for 3D images. I run the fast project with testFAST.exe with my CT data. However the result always the no seed found .The mhd DimSize is 512 * 512 *250. Can you please offer me your test data? 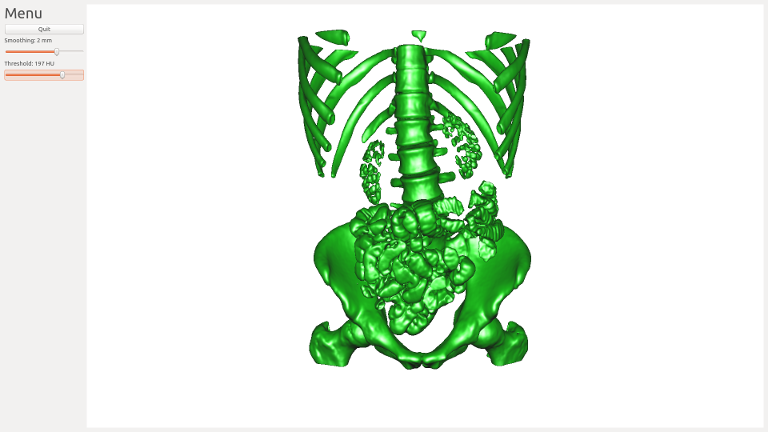 hi, i have just tested the code using lung CT scans , and write the result of GVF components in mhd, but it seems the result of the X,Y,Z components are the same. So what’s wrong? Sorry, I have found that it’s the problem of my save code. And I have corrected it. Buy the way, what format is suitable for lung CT when calculate the GVF. In HU stored or pixels stored(unsigned short)? I have try this code on ubuntu. And there is a error when read .mhd file and creat the class Volume::Volume at line 353 of Core.hpp. The error is “Program received signal SIGABRT, Aborted. I just tried to compile the code myself, and can confirm I get the same error. This code is over 4 years old, and apparently GTK has changed something in that time. I will try and look into it. Ok, the problem was due to a mutex not locked properly, fixed some other issues as well, the code is now updated on github. Remember to update the submodule. 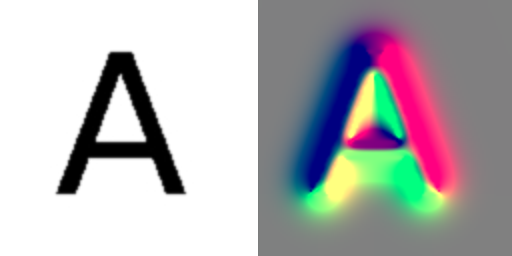 Note that only 3D volumes can be loaded as metaimage (.mhd) with this code. Thanks for your hearty assistance and patience, I have followed you and studied your method for a few months, which is similar to my project. So if it is possible and convenient for you, i hope we can keep in touch and have more communication. Anyway, this is my gmail huihongduan@gmail.com. But I think I have include the .h file so where is the problem? Thanks in advance. I haven’t tried to compile this code on windows. Add #include after #if _WIN32 in openCLGLUtilities.hpp, you may also need to #include . It seems this code can be only used in a Linux platform, because in the windows it just can not include some head file, such as the X11/Xlib.h. So did you have a version which can be used in windows, or how can I adjust the code so that it can be used in windows. Hm, then I’m not sure. I thought that would do the trick..
make: *** No rule to make target `/usr/lib/x86_64-linux-gnu/libGL.so’, needed by `GVF’. Stop. On ubuntu 14.04 how should i compile with g++ when i get the following? — OpenMP was detected. Using OpenMP to speed up MIP calculations. Thank you very much. Solved! Thank you very much. The issue has been solved. The same data in Matlab can get the result. My dispaly card is GTX 460. This issue makes me confused. Do you have some advice? I discovered and fixed a bug which occured only for NVIDIA GPUs and other devices that doesn’t support 3d texture writing. This bug was probably the source of your problems. Try downloading the latest code from https://github.com/smistad/OpenCL-GVF and see if it works for you now. I also try to change the value of mu and iteration, but it doesn’t work. change the cube to 128*128*128, set the central voxel value 1, (64*64*64), half of the total cube. the other value 0. It also from 128*128*96 to the end, the results is zero. Thank you for your sharing, they are useful for me. 1. Whether the results of the same input data running use MATLAB and Visual Studio are completely same. I tested cube data generated by myself, the results show that they are not same. 2. I generated the cube data, the size of 64*64*64, the center voxel is 255 (32*32*32, from index 16 to 47 for each dimension), the other voxel is 0. When I run the program on Visual Studio，which use CMAKE obtained, the results are always 0, form index 48 to 63. Looking forwad your replay. Thank you. 1. The results are most likely never identical. One thing that is different with matlab is that it uses double precision (64 bit) by default, while the GPU GVF implementation here uses 16 or 32 bit. However, you can force the use of 32 bit in matlab with the single function. So try to use the value 1 instead of 255 and let me know how it goes. For the second question, before using the GVF, the data have been normalized. And I also try 1 instead of 255, but the results has not chaned, the results from 64*64*48 to 64*64*64 still zero. Hmm. What value do you use for mu and how many iterations? First of all, thank you for your interesting post. I also read your article that explains your method. I was wondering if you also implemented snake’s internal forces in 3D which in combination with 3D GVF can be used to deform a 3D mesh. Despite my several trials to implement it in python, I am unable to get it right. If you have implemented it already, would you mind sharing it? The program should work on windows as well. However, you need to install GTK 2 see http://www.thebigblob.com/simple-image-processing-library/#installation for how to install GTK2 on windows. If you don’t want to use SIPL you need remove SIPL from the CMakeLists.txt file AND all SIPL code in the cpp files.